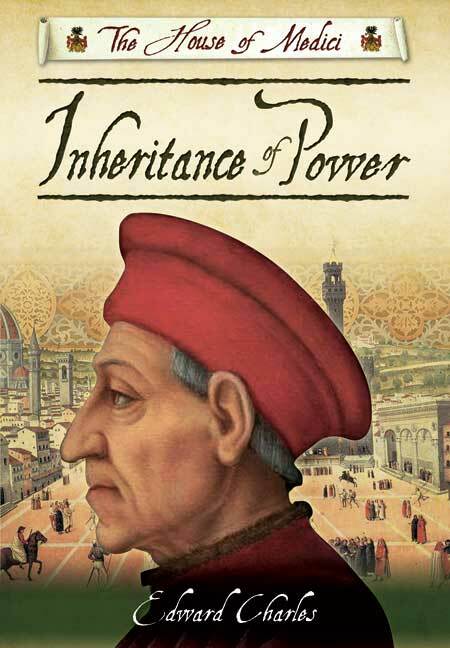 You'll be £4.99 closer to your next £10.00 credit when you purchase The House of Medici: Inheritance of Power. What's this? Ever-loyal Maddalena, a diminutive, blue-eyed, black slave, has borne Cosimo de Medici a son and seen him rise to the position of cardinal. Now, late in life, she finds herself committed to a convent, as part of a scheme to protect the Medici Bank from ruin by Cosimo's sons by hiding a fortune in gold for Cosimo's grandson, Lorenzo, to inherit. But as the months go by, and the gold does not appear, her faith in Cosimo begins to wane and with it, her confidence in her own worth. Has she been duped? Approaching old age, she finds in the abbess a confessor, to whom she can confide her true story and perhaps, at the same time, to convince herself that her life has been worthwhile. But the abbess, too, has objectives of her own, and the two of them may not be on the same side. Edward Charles presents us here with an enthralling evocation of Fifteenth Century Florence, arena of intrigue, glamour, wealth and deception. One woman's devotion forms the foundation upon which the famed Medici bank was built. The largest and most respected financial institution in Europe in it's prime, it came to represent the might of the influential Medici clan, a family of great power, borne of Italy's gold; a family who scaled the very heights of human grandeur but were to suffer through one of the most catastrophic financial crashes of early banking. Edward Charles's was born in South Wales in 1941. His first novel, In the Shadow of Lady Jane was published by Macmillan New Writing in May 2006. Since then, he has written three more novels in the Richard Stocker series, following Richard from Tudor England to Renaissance Padua and Venice. A change of direction took him to Florence in the 1400's and the rise and subsequent fall of the Medici clan. This is his first book to be released by Pen and Sword, and will be followed by The House of Medici: Seeds of Decline later this year. Edward lives in Devon with his wife, and is currently at work on his third Medici novel.